Each mammalian cell contains up to 20,000 proteins, all of which must be maintained and regulated. Proteostasis is a complex pathway that functions to maintain all of the proteins within and around a cell. The smell of food induces a variety of physiological processes in our body. Thus, the production of saliva and digestive enzymes is stimulated before the actual food intake in order to prepare the gastrointestinal tract for the upcoming digestive process. An antibiotic, minocycline, can increase the lifespan of roundworms by preventing the build-up of proteins during aging, a study in the open-access journal eLife reports. 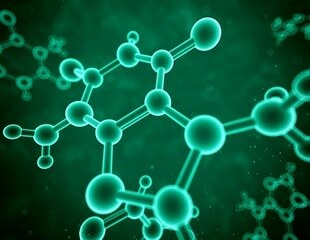 Complex biological systems can be described as a network of chemical processes that take place in molecules. The scientists of the "ChemLife" research initiative at the University of Konstanz are working together in an equally active network with dynamic interconnections - both subject-specific and interdisciplinary. The neuroscientist Dr David Vilchez and his team at CECAD, the University of Cologne's Cluster of Excellence for Aging Research, have made an important step towards understanding the mechanisms that cause the neurodegenerative disorder Huntington's disease. Stem cells are considered to be immortal in culture and, therefore, of great interest for aging research. This immortality is regulated by increased proteostasis, which controls the quality of proteins. In a complex series of experiments they examined what the effects were of changing a single amino acid in the protein. Researchers have identified a gatekeeper protein that prevents pancreatic cancer cells from transitioning into a particularly aggressive cell type and also found therapies capable of thwarting those cells when the gatekeeper is depleted. As the powerhouse of the cells, mitochondria are critical for every organism because of their role in producing energy while also controlling survival, but how they function in cancer is still not completely known. Aging is the most significant and universal risk factor for developing neurodegenerative diseases, such as amyotrophic lateral sclerosis (ALS) and Alzheimer's, Parkinson's and Huntington's diseases. This risk increases disproportionately with age, but no one really knows why. Investigators at Albert Einstein College of Medicine of Yeshiva University and Montefiore Medical Center will present their latest aging research at the Gerontological Society of America's 67th Annual Scientific Meeting. A new collection of articles appearing in The Journals of Gerontology, Series A: Biological Sciences and Medical Sciences examine how the basic biology of aging drives chronic disease. Scientists at The Scripps Research Institute have discovered a natural mechanism that cells use to protect mitochondria, the tiny but essential "power plants" that provide chemical energy for cells throughout the body. Damage to mitochondria is thought to be a significant factor in common neurodegenerative disorders, cancer and even the aging process. The TSRI researchers' discovery could lead to new methods for protecting mitochondria from such damage, thereby improving human health. The National Institutes of Health (NIH) has chosen two leading aging researchers at Albert Einstein College of Medicine of Yeshiva University to chair panels at the first symposium on "geroscience"-the study of how aging influences the onset of chronic diseases. For some species, living twice as long in good health depends on no more than a few genes. When this fact was revealed by studies on worms three decades ago, it ushered in a golden age of ageing studies that has delivered numerous results, but also sown some confusion. NI Research, the leading publisher of independent research on the neurotherapeutics industry, has released the May issue of NeuroPerspective, which reviews the status and prospects of therapeutics for Parkinson's. Elan Corporation, plc today reported its second quarter and first half 2012 financial results. Elan Corporation, plc, today reported its first quarter 2012 financial results. Elan Corporation, plc today reported its fourth quarter and full-year 2011 financial results.